The man suffered severe injuries to his head and back, and was declared dead on scene. A 27-year-old construction worker has tragically fallen to his death at an uMhlanga construction site. According to reports, the man was about 12 metres high when he fell from scaffolding on Tuesday morning just before 8am at a site on Ncondo Place,Northglen News reports. 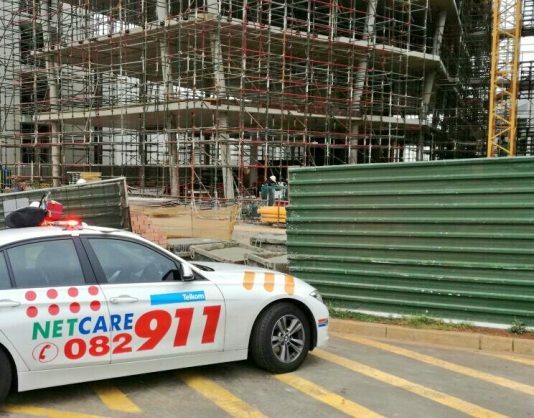 Netcare 911 responded to reports that a man had fallen several floors at a construction site in uMhlanga, Durban. Reports from the scene allege that a construction work fell approximately 12 metres from scaffolding. The incident and preceding events still need to be investigated. “Advanced Life Support resuscitation was initiated. However, despite the efforts to resuscitate the man, his injuries were too severe and he died at the scene,” Nick Dollman, Netcare 911 spokesman, said. The incident follows a construction worker severely injuring himself after a crane collapsed at an eMdloti construction site in August.